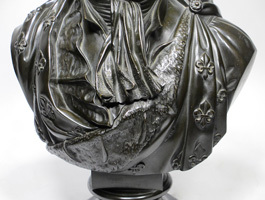 Attributed to Baron François-Joseph Bosio (Monaco, 1768-1845) A Very Fine French 19th Century Patinated Bronze Bust of Louis XVIII, the gazing slightly to sinister profile, wearing a coat, cravat and a cloak decorated with fleurs-de-lis and medals is one of several versions of Bosio's depiction of Louis XVIII, most of which are currently exhibited in several Museums around the world and in private collections. Circa: 1815-1820. 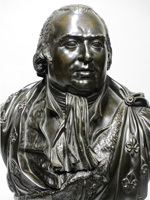 Born in Monaco in 1768, François-Joseph Bosio began his studies in Paris under sculptor Augustin Pajou. He later served as sculptor to Emperor Napoleon I and his family. 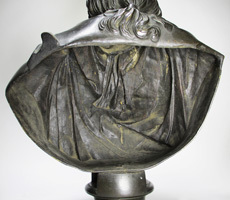 Following the downfall of Napoleon, Bosio changed allegiances and in 1822, was appointed First Sculptor of the King by Louis XVIII whom a year earlier, in 1821, had made him a Knight of the Order of Saint Michael. He was made an officer of the Légion d'Honneur and created a baron by Charles X in 1825. Though under Louis-Philippe he was stripped of his titles, he continued to receive official commissions, as the ablest portrait sculptor in Paris, and created the statue of Napoleon for the Column of the Grande Armée in 1840 under Napoleon III. 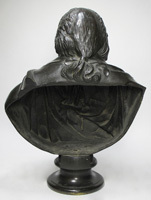 Bosio was given a scholarship by prince Honoré I to study in Paris with the eminent sculptor Augustin Pajou. After brief service in the Revolutionary army he lived in Florence, Rome and Naples, providing sculpture for churches under the French hegemony in Italy in the 1790s. He was recruited by Dominique Vivant in 1808 to make bas-reliefs for the monumental column in the Place Vendôme in Paris and also to serve as portrait sculptor to Emperor Napoleon I and his family. 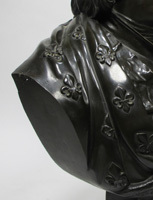 It was in this capacity that he produced some of his finest work, notably marble portrait busts of the Empress Josephine, which was also modelled in bisque Sèvres porcelain, and of Queen Hortense (about 1810), which was also cast in bronze by Ravrio. In 1828, Bosio saw his grandiose equestrian sculpture of Louis XIV erected in the Place des Victoires in Paris. He also created the statue of Napoleon for the Column of the Grande Armée in 1840 under Napoleon III. He died in Paris in 1845. 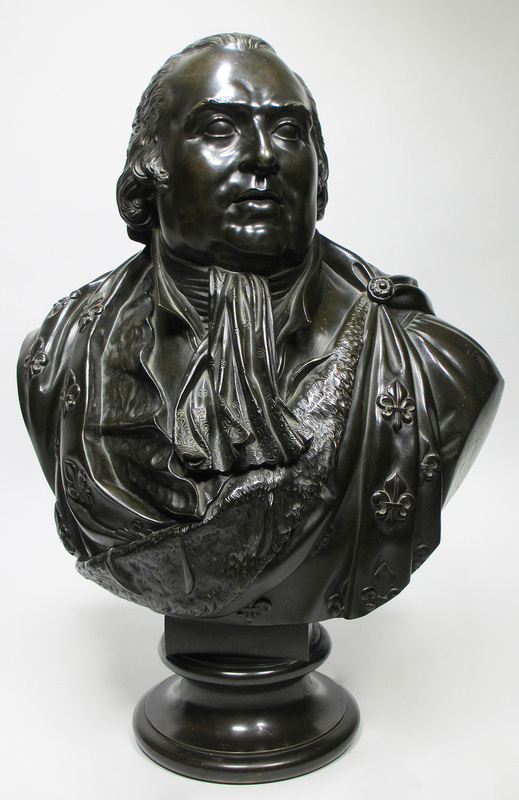 Bronze Bust of Louis XVIII, Roi de France (1755-1824) by François-Joseph Bosio (French, 1768-1845) - Identical to the present bust.